And take heed lest you lift your eyes to heaven, and when you see the sun, the moon, and the stars, all the host of heaven, you feel driven to worship them and serve them, WHICH THE LORD YOUR GOD HAS GIVEN ALL THE PEOPLES UNDER THE THE WHOLE HEAVEN AS A HERITIAGE. 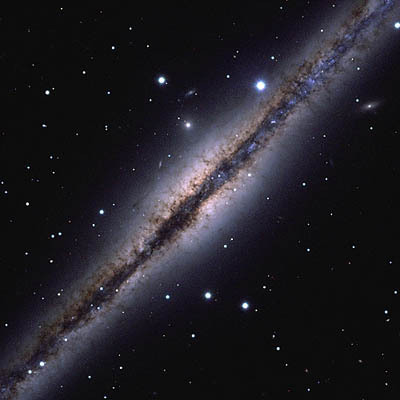 The Try-God web-site is designed as a study aid to students, amateur and professional astronomers, and especially Christian Believers with an interest in what the Scriptures have to say about Astronomy in general, along with a number of related topics of interest. Some of these topics include Intelligent Design and "Science and the Bible." The "Try-God" name for the website is based upon the notion that the Almighty Heavenly Father and All-powerful Creator is true to His Omnipotence and Omniscience because, unlike the alternatives, He is the only one Who Truly invites detailed scrutiny from all comers!! Those who engage in the hidden practices of the occult do their deeds behind closed doors and in secret, because they don't want you to know what is really going on behind the scenes. They may do some tricks in public designed to get people's attention by deception, but you surely don't want to get too close to the power behind their throne!! For a humorous take on this idea, click on the "Top 10 Reasons to Try-God" at the top of our list of studies available on this site. To access this page, click on the red planet at the bottom of our Home Page. The true God lays out an open challenge to prove Him, to try His ways and see for yourself if they are not everything and much more than they seem to be upon first look. This forum is designed to promote this challenge, even as Christ told the curious to "follow Me," so we are commanded to "prove all things and hold fast to that which is good" [IThess. 5:21]. As you read the varied studies of our site, you can hover your cursor over words highlighted in red, and a definition of the term will appear inside a reference window. A complete list of these terms is included for your convenience in the Glossary of our Reference Section. This section also includes a historically & Biblically based Timeline of noted events relevant to our study. There are many references to Scripture throughout the Biblical studies on this site. We are working towards a goal that each reference will be fully visible via a live link, but until then the reader should have a Bible handy for reference, as these studies are reviewed. For those who prefer electronic Bible's, we have also added a Research Tools section, with a dynamic link to ww.Biblegateway.com, complete with Bibles in over 29 languages, and research options like "quick search" with tools for searching verses, key words and phrases and a topical index. Thus the reader can glean the full effect of the context of each study, in how the written Scriptures unite with the celestial gospel. This is part of a continuing effort to provide an array of powerful research tools for students at all levels of maturity, and make the most of the digital research tools at our disposal. A number of classic authors whose works relate to Bible Astronomy are available in the Biblical Astronomy Fellowship section of this site. The works of people like E.W. Bullinger, Louis Ginzberg, Frances Rolleston, Josephus, Alfred Edersheim, & John Lightfoot, to name a few, are accessible via live link under the "metrocast" link of reference materials. Look for more additions to these sections as we progress. Since the primary theme of our web-site is Biblical Astronomy, our Research Principles section covers some basic rules on how the Bible interprets itself, and how these principles are applied to reveal many astronomical and scientific truths in the heavens. Examples of these principles in application are found in the various articles of our site, to give the reader an idea of how to apply these principles in personal study. Deuteronomy 4:19b above serves as a great theme verse for our Biblical Astronomy website, because God tells us that He has given the Sun, Moon and Stars, and the entire celestial order which He designed, to Glorify Him [Psalm 19:1], as a heritage to all people. As with any gift from the Heavenly Father, there are many and multiple blessings for all Mankind, hidden in the firmament for us to share. It is our goal to share some of these wondrous gifts from God, with those who may be unaware of the many "treasures of the celestial vault," or for those who simply want to know more. We welcome all who desire to share in the Creator's wealth in this category, and the related areas of study that appear on our site. Below is an Overview of some of the main categories of our study of the heavens from a Biblical context, as we look into the Astronomy of the Biblical Patriarchs, and some of the principles they applied in reading the celestial scrolls, for "all they are worth." This field of research may be new to some, but the principles that guide this reseach have been around for quite a while. This area requires an interdisciplinary approach to research including input from Archaeology, geodesy, mathematics, Archaeo-Astronomy Geography, Biblical Astronomy, architecture, geometry and anthropology. By viewing existing archaeological and astro-archaeological evidence in the light of the truths of Biblical Astronomy, new light can be shed on existing archaeological finds. The reader will notice many examples of archaeological evidence, referenced in our Try-God Timeline from ancient Egypt, like the Dendera zodiac, in support of Biblical truths, that are not readily apparent from existing historical or archaeological perspectives alone. This provides us an example of the value of an interdisciplinary approach to these studies. We can expect even more important evidence from monuments like the Great Sphinx and the Great Pyramid as key elements to understanding, not only the Giza Plateau, but major aspects of the sophistication of ancient culture not previously seen. The true significance of these monuments will not come to light unless we consider the witness of the Scriptures where these ancient wonders are concerned. This section of our web-site will focus on some fascinating truths from God's Word concerning these monuments, in light of Biblical Astronomy. By emphasizing aspects of the raw astronomical knowledge of the ancients, distinct from the context of their various myths and star religions, a view of ancient Astronomy in light of the world monomyth, based on the root structure of the Astronomy of the Biblical Patriarchs, begins to dawn on the horizon. Instead of attempting to revive the archaic idolatries of ancient star religions, we are afforded a return to some original principles that governed the astronomical practices of Men of God like Adam, Enoch, Abraham, Daniel, & the Magi. This view provides a valuable alternate perspective, distinct from the strict cultural view of ancient astronomical practices conventional history has provided thus far. Our view is not meant to ignore the cultural context in which these monuments arose, but to put them in a Biblical light, to allow the astronomical truths built into these monuments, to come to the surface. By adopting an unadulterated Scriptural view of the History of Astronomy, we will gain a valuable perspective of the unified common ground of Science and the Bible, few have fully considered. A similar approach is applied to our view of some key aspects of ancient Mayan Astronomy, although a comparative study with other ancient astrologies is also called for regarding Mesoamerican Astronomy. Our most recent addition to this collection of studies pertains to the Astronomy of the Maya. This study will blend a view of Mayan Astronomy in light of some related topical Biblical studies on the "Host of Heaven" and Astrology. The Maya Serpent Calendar provides a fascinating example of comparison to the four serpentine Constellations of the zodiac, which reveals a heirarchy of the spirit realm inherent in the day-gods of this Mayan calendar. This study is a work in progress, but nevertheless, it makes for some enlightening reading and study for those interested in how our unique view of Archaeo-Astronomy can reveal long hidden secrets of the history of Astronomy. 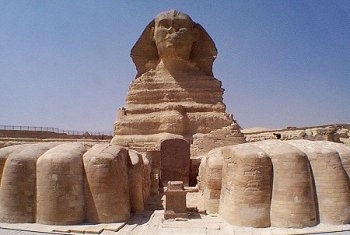 With this in mind, we begin our study in Biblical Archaeo-Astronomy as we consider The Prophecies of the Great Sphinx. A History of Biblical Astronomy by definition, must be taken first, from the witness of Scripture. We have included numerous Biblical records that state authoritative details of the nature and practice of Biblical Astronomy throughout ancient history. The zodiac of Israel provides an example of these practices in ancient Israel, in light of our study of its decans & star names. As we become aware of the temporal order of life in ancient Israel, many wonderful details of God's divine order are made plain. We will also become aware of the importance of the ancient star names associated with the zodiac of Israel, and the message of the coming redeemer of Israel, preserved by God in the ancient meanings of these names, found in His Word. The advantage of having a written record of any kind, puts Biblical Astronomy and Archaeology on solid ground which is very hard to find in this kind of research. The principles governing this research are outlined in the Research Principles section of this web-site. This important foundation provides a basis upon which we can view existing archaeolgical finds and artifacts in a new light. Experts in Mythology have always held that Christianity derived from ancient myth, which Joseph Campbell called the world monomyth. Early explorers of Tibet & ancient Mexico marvelled at similarities in the mythos of these widely separated cultures, and how the common threads of their mythological themes seemed to foreshadow the coming of a Christ-like Savior. When however, we consider this evidence in light of the Celestial Gospel as it was taught by the Biblical Patriarchs, we can easliy see how these various cultures took the main themes of the witness of the stars, when the people still spoke one language at the Tower of Babel, but were then dispersed according to the various division of their languages, taking the basic knowledge of the celestial witness with them to the four corners of the Earth. Over time, these truths were further degraded & transfomed into the details of their individual idols. As we allow God's Word to have its rightful say on these matters, we will see that the Astronomy of the Biblical Patriarchs taught astronomical truths thousands of years in advance of what was taught in the secular world. One article where this becomes evident in our study of The Celestial Symbolism of the Hebrew Menorah, and its heliocentric teachings 3000 years in advance of Copernicus. We will draw some very distinct lines of demarcation between the ancient idolatrous astrological practices that have persisted into the modern day, and the true principles of Biblical Astronomy. The Bible record of Moses' 10 plagues on Egypt speaks volumes here, since each plague was directed against a specific idol of ancient Egypt. The astronomical symbolism of many of these idols gives us a clear view of the difference between what God approved of, and what He considered an abominable evil, [Ezek. 8]. This historical perspective of Biblical Astronomy sets a valuable precedent that sheds the powerful light of God's matchless Word on this important area of research. We will begin with a study of The Celestial Symbolism of Israel's Temple and Tabernacle. This section addresses the subject of Biblical cosmology in detail, with an emphasis on the Biblical evidence for the First Heavens and Earth, leading into our current Second Heavens and Earth. There is much confusion and debate on this subject even within the Christian community, but Biblical evidence is presented here that cannot be ignored by those opposed to the so-called "gap theory." The issues raised in this study make it impossible to ignore the Biblical time period between Genesis 1:1-2. If Christians approach the Scriptures honestly, without an agenda, or preconceptions that require the twisting of God's Word to fit a certain viewpoint, then we can arrive at a place where God's Word, as it speaks for itself, without, private interpretation can have the final say regarding any matter. This study complements aspects of our Timeline, which focus more on the Second and Third Heavens and Earth, and between these aspects of our website our goal is to present a basic foundation of a Biblical cosmology which can be expanded on in the future. Natural Law is best understood, for our purposes, in light of God leaving evidence of His "fingerprints" in His Creation. The Hand of God is evident in many undeniable aspects of the Natural Order, where the signature of the Almighty in many cases is hard to miss. This is where adherents to the Intelligent Design movement have been building their case for some time in the biological and geological sciences. 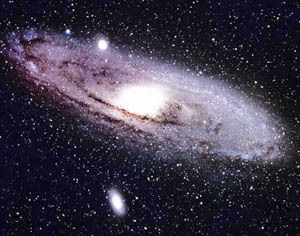 Biblical Astronomy not only strengthens their case for Intelligent Design in the astronomical category, it also provides a much needed connection, focusing on the witness & foundation of the Scriptures. By emphasizing the divine basis of Intelligent Design, the true source of the divine order and purpose to all Creation, is revealed. Only those God-rejectors who go out of their way to deny the reality and existence of God, who will never give The Almighty His due honor, will deny these most basic aspects of common sense. God's Order in the temporal organization of the Nation of Israel, reveals great details of the inherent Divine Power and Wisdom, as He depicts it in His Word to the Man of God-Moses. Our study of The Calendar of Israel, gives us many aspects of this divine order, consummated in the promised seed Jesus Christ, who reigns at the apex of the temporal and spiritual Creation. This order is also made manifest in the temporal order of the Old Testament ceremonies related to the priestly ministration in the Hebrew Temple and Tabernacle. Since the architectural structure of these sacred buildings was given by revelation of God to Moses and David, there are many aspects of God's sacred architecture that reveal the divine order & mathematical structure in Creation. We illustrate this in two articles, the first concerning the Biblical utilization of the Pi ratio related to the Temple Pillars, along with other aspects of the furniture of the Hebrew Tabernacle, and Temple. We will also consider other elements of this mathematical ratio in the Bible. This use of Pi in the Bible predates most traditional applications of this knowledge in history, but exceeds any historical application in scope. This relates directly to the mathematical basis of Biblical cosmology. Our investigation would not be complete without considering the usage of the Phi ratio in Nature and in divine architecture, along with its relation to The Four Kingdoms of Life. God Himself is the foundation of Life and we can see evidence of His Symmetry in our study of Phi, the golden section and the Fibonacci Series, as their natural order is revealed in the gospel of the Natural world as it testifies and supports God's Word. Our study of the Natural Order is currently covered in our investigation of The Calendar of the Biblical Patriarchs, along with the studies on The Birth of Abraham and The Four Kingdoms of Life. In this section we introduce the reader to the keys that unravel the mysteries of the Star of Bethlehem. The fundamentals of the time of Christ's birth are reviewed, distinguishing the signs of the Celestial Prelude from the series of planetary Conjunctions and other celestial wonders marking the actual birth of Christ. It is only natural that the celestial gospel, which relates the greatest "hero adventure" of the ages, forming the root structure of all the heroes of mythology, what Joseph Campbell called the world monomyth, should also prophesy of the birth of the coming Promised Seed, Jesus Christ. Contributions to this topic come from a wide range of sources, two of which are The Star that Astonished the World by Dr. Earnest Martin, & Jesus Christ our Promised Seed by Dr. V.P. Wierwille. We are also currently offering a DVD on this topic, which is available in our Try-God Book Shoppe. This professional production details many questions surrounding the Birth of Christ, and removes much of the mystery that still hangs over this key topic of Biblical Research. This new teaching seminar presents unique information that is designed to work in union with our website studies to provide the full picture of the topic under discussion. Although there is much presented in our web studies, the major keys are revealed in our DVD seminars, which are neccessary for a more complete disclosure of the specific topics in question. The details of the birth of Christ are complemented in articles on the Biblical Astronomy of the Birth of Moses, the forerunner of Christ. 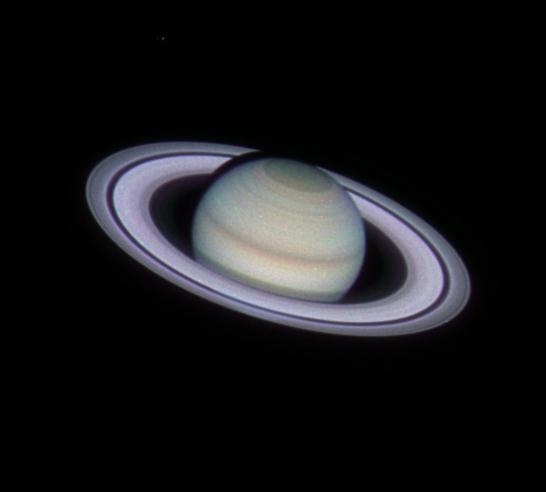 This study, along with The Birth of Abraham article are important to understand the Heavenly Father's eternal purpose of the ages, as seen in how the Jupiter-Saturn Conjunction series marked and disclosed the identity of His only begotten Son via both the witness of the Stars and Scripture. The forthcoming study on the Biblical Astronomy of the The Crucifixion of Jesus Christ, will consider the accuracy of the day and time that Jesus layed down his life for Mankind on the cross. This study will detail the ministry of Christ as the Passover Lamb, and how he fulfilled the OT Law requirements for Isreal, along with other key aspects of his ministry, that will clear the air regarding what his life accomplished. The sacrifice of Jesus Christ brought about multiple levels of deliverance for all believers. A key aspect of this deliverance includes the spiritual and physical wholeness that is part of the salvation package Christ made available. 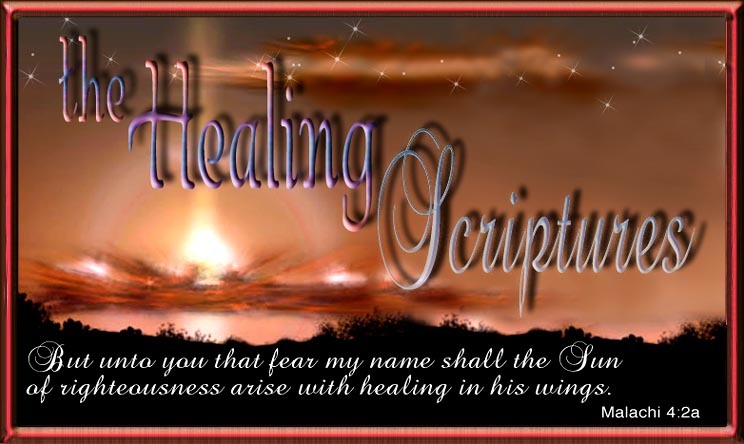 Thus, we have included a great majority of The Healing Scriptures as a reference point in our Try-God web-site, so believers everywhere can refer to these great and precious promises in their personal, daily lives and ministries. One of our newer additions to the website is our Media section. This is designed as a central hub where you can view some of the video clips, DVD's and other movie files which are uitlized to entertain and educate our students in various Biblical Astronomy topics. This will also include a section on a number of web-links which provide a rich resource to our studies and articles. Keep your eye out for new videos as they come on line, and for samples of teaching seminars that will be available for purchase in our Bookstore. God has infused certain planetary unions of Jupiter and Saturn with special significance throughout history, as signposts in identifying the coming of His only begotten Son Jesus Christ. Two of these triple Conjunctions surrounded the Births of Abraham and Moses. We have just added an Introductory study on The Signs surrounding Abram's Birth, linking with the impending release of our first DVD seminar on The Biblical Astronomy of the Birth of Christ. The Birth of Abraham is a major key to understanding this subject since, it was the genetic line of Abraham that would bear the Promised Seed. A new study centering on the Signs surrounding the Birth of Moses has recently been added. As a forerunner of Christ, the Deliverer of Israel, Moses is another critical figure who must be understood to better comprehend Christ's Birth. There will be parallels in the signs marking the birth of these Biblical Patriarchs, both marked by Jupiter and Saturn, as they lead up to Christ's Birth, which sheds additional light upon what the Scriptures unveil. This opens up the Natural Law witness provided in Biblical Astronomy, unified with the Scriptural Witness of God's Word, in perfect harmony. 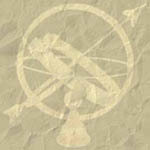 As interest in this site grows, a goal remains to partner with existing amateur Astronomy groups with an interest in Biblical Astronomy, for the purpose of holding unique Christian fellowships, whose various activities could include star parties, seminars, and other events with astronomical themes. Some of these activites would include study groups, and field trips for families, and believers of all ages. A major theme of these Biblical Astronomy fellowships is to promote the accurate witness of Jesus Christ, as the Heavenly Father recorded His-story in the stars, for all mankind to behold. As this awesome witness to the Creator's might is unveiled in the written Scriptures, the undeniable truth of God's matchless Word, personified in Jesus Christ is made plain. Although, the foundation of this site is being laid on somewhat detailed and technical levels, this is not our only sphere of activity. The Try-God website is ultimately designed to appeal to all age groups. Our initial outreach to the pre-teen and teen students through college ages, will be a Comic Strip called "The Chronicles of the Magi." This will document the history of the Magi in the ancient Persian kingdom, and the influence of the prophet Daniel on their sect. This will provide critical background information in a fun and educational format that lays the foundation for a fuller understanding of some of the more advanced material already disclosed on this site. This will also serve as an initial effort to reach out to the teens and pre-teens through The Stargazer's Club, their very own activity group. Those interested in participating, or contributing to the Try-God web-site can contact us at the e-mail address provided on our site. The index of Healing Scriptures in the Bible provides a great resource for believers who seek to claim God's promises that it is His will "above things that we prosper and are in health, even as our souls prosper" [III John 2]. God does not test or prove his beloved children with illness, sickness or disease, but He is the Great Healer, and has provided complete salvation wholeness to the uttermost, in every category of life for those who only ask Him. Jesus Christ died not only for our sins but also for all our diseases, which is the significance of the "broken body and the shed blood" of Christ's perfect sacrifice for the communion of all Christians. It is the devil who has the power of death, not the true God [Heb. 2:13], and disease is only death in part or in whole. The gifts of healings are a major category of the gifts of God's Grace, in which we may share fully in this life, as part of the more the abundant life Christ made available in John 10:10. The OT section of Healing Scriptures has been recently updated with teaching notes which will help in understanding how to activate the God's Healing Grace in your life! As another major category of "The Healing Scriptures," the 50 keys to Christian Communication are central to the life of every believer, and wonderful principles for all to abide by. The truths of God's Word are universally applicable, to every category of life and godliness, and this is only one example of the abundant life the Heavenly Father has called us to enjoy on Earth. God thought language was so important, He chose his Words very carefully in communicating the truth of His Nature to all mankind. God's Word is the fundamental manifestation of His Omnipotence, which is illustrated in His Creation, because when God said: Let there be light...there was light. As Children of God's light we are called to speak edifying words that reflect the Creator's light, not destructive words of darkness. Our motivation to speak should be out of the pure motive to build and strengthen those who hear us, not out of selfish motives, to manipulate or tear down. This is a huge area of life as James 3:2 tells us "if any man offend not in word, the same is a perfect man" so as we abide by these principles we can strive for this perfection from the fruit of our lips. Through our Online Bookstore, we have a number of products available to help those interested in Biblical Astronomy, from the serious student to the merely curious. We have recently made available, for the first time, our Try-God.com Planisphere, an 18 x 24 glossy poster. This is the perfect addition for the Home, Office, classroom or Church environment, whether for reference or esthetics. We also have a series of DVD's available through the Book Shoppe, for varied applications and needs. The first of these Biblical Astronomy DVD's is available now, but we are in the process of adding other teaching series. Stay tuned as exciting new products become available. Our Bookstore has been updated with PayPal services for those who desire to shop online. The unique Biblical teachings, classes, programs and Christian work carried out by the staff and believer's of the Christian Family Fellowship Ministry is something I am truly thankful for. This International Outreach ministry based in Tipp City, Ohio, sponsors Christian Home fellowships around the world. Their series of classes called the "Power of God" series, truly electrifies those seeking for an accurate knowledge and practical application of the truth, as it is revealed in God's Word. For those interested in more information, you can contact them at their website listed above, and get on their mailing list for free weekly teaching tapes & Internet Newsletters, and free monthly printed Newsletters. God Bless!! ©Rene' P. Fretz. Text on this site, unless otherwise noted, are Copyrighted in my name, Rene' P. Fretz, and protected by United States copywright law, and International copywright law protected under the Berne Convention.